Beijing’s new airport, planned for the city’s Daxing District, will be complete by 2040, reported by the Beijing times on Thursday. The new airport was designed by Iraq-born British architect Zaha Hadid, who used a streamlined design to provide the new airport with vitality. 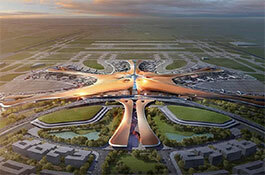 “The new airport will experience two phases of construction and will have an annual throughput capacity of 100 million passengers by 2040, becoming the world’s largest airport,” said Wang Baoling, Deputy Director of Beijing SIA City Holdings Co. Ltd., at the China Design Festival in Beijing. 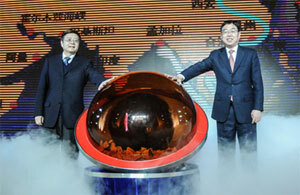 China International Travel Mart (CITM) is the largest professional travel mart in Asia. 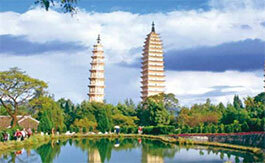 It has drawn the attention of people in the tourism industry worldwide. This year’s CITM will take place in Kunming Dianchi International Convention & Exhibition Center, Kunming City, Yunnan, China next month, bringing together more than 80,000 buyers, exhibitors and visitors for the largest professional travel show in Asia. The world’s tourism circles will gather for three days to mingle among 2,400 exhibitors, two trade-only days, press conferences, symposia, social activities, and business meetings. 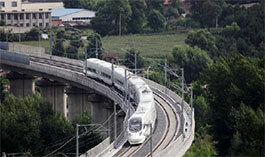 A new section of high-speed railway in Northeast China's Jilin province officially opened to traffic. The line brings passenger rail for the first time to about 220,000 people in Hunchun, the only city at the juncture of China, Russia and the Democratic People's Republic of Korea. The 361-km passenger rail linking the cities of Jilin and Hunchun offers travelers stunning views of lakes and mountains in the province. 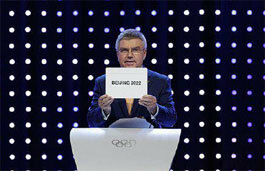 Beijing has won the battle to host the 2022 Winter Olympics after the Chinese President, Xi Jingpin, made a last-minute vow to lay on a “fantastic, extraordinary and excellent” event. Beijing defeated its rival Almaty in Kazakhstan by 44 votes to 40, with one IOC member abstaining.International Olympic Committee delegates handed the 2022 Olympic and Paralympic events to Beijing on July 31 afternoon following a secret ballot in Kuala Lumpur, Malaysia. 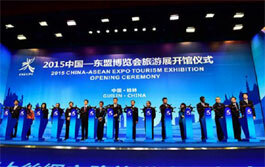 On May 29, 2015 China-ASEAN Expo (CAEXPO) Tourism Exhibition, jointly organized by the China National Tourism Administration (CNTA) and the People's Government of Guangxi Zhuang Autonomous Region was unveiled at Guilin International Exhibition and Conference Centre. The event attracted guests from nearly 50 countries and regions including the 10 ASEAN countries, the United States, Australia and Italy, nearly 800 companies from 29 provinces, autonomous regions, municipalities in Mainland China, Hong Kong, Macao and Taiwan, and over 300 overseas buyers. 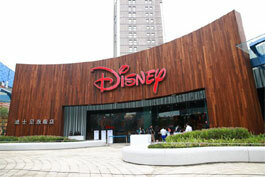 The Walt Disney Company opened its doors of its flagship store in Lujiazui, Pudong, Shanghai, China. The landmark store is the largest retail space of any Disney Theme Store in the world feat ring 5000 square meters of immersive shopping experience and innovative product, and also features an outdoor plaza. 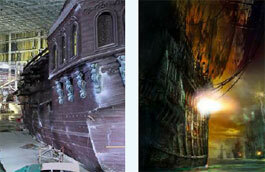 The interior of the Shanghai Store was designed using Disney's award-winning, innovative format featuring elements unique to the area that will surprise and delight Guests and bring to life the most popular characters from across Disney, Pixar, Marvel and Star Wars. 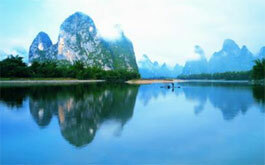 The China National Tourism Administration deemed 2015 the “Year of Silk Road Tourism,” with both land and sea routes being developed along the ancient trade route. The Silk Road Economic Belt and the 21st Century Maritime Silk Road initiatives were launched less than two years ago by President Xi Jinping and continue to be a major focus for the Chinese government. The famous Silk Road, an ancient trade route extending from China to Eastern Europe, is the recent focus of China in terms of both historical preservation and touristic development. 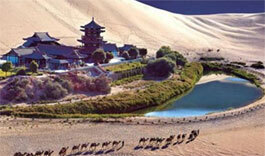 Now visitors to China can experience the Silk Road first-hand, not just by land but also by water.